Successfully campaigned to register vintage cars with Year of Manufacture License Plates. This bill was signed by Governor Rowland June 1, 2000, and implemented October 1, 2000. In 2001, 4Cs members met with the Department of Motor Vehicles regarding the issuance of Titles for automobile over ten years old, with the DMV subsequently introducing a procedure. In 2003, the 4Cs testified against an automobile inspection bill introduced to the Transportation Committee. The bill died in Committee. In 2006-2007, the 4Cs with other clubs helped in enacting legislation to exempt composite vehicles from emissions inspections. In 2008-2011, 4Cs oversaw Property Tax Assesment and Composite Vehicle Registration legislation. Members are kept informed of these activities through The Voice, newsletter of the 4Cs, published six times per year and is mailed approximately a week prior to the regular business meeting. The Voice is included with all club individual memberships.The 4Cs conducts a regular business meeting six times a year on the first Monday of January (except when it conflicts with the New Years holiday), February, April, June, August, and November. The meetings are scheduled on these dates to coincide with the Connecticut State Legislative Session. In 2002, we established this website, www.ctccc.net. Currently available on the site is the Events Calendar including Car Shows, Swap Meets and Cruise Nights. 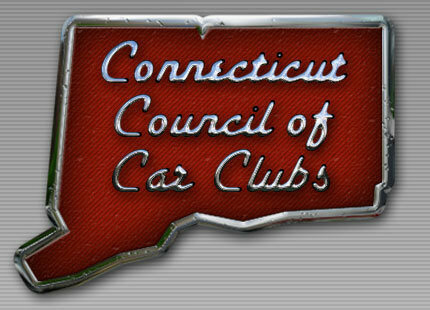 We also offer convenient links to Member Clubs, Hobby sites and Government listings including The General Assembly and the Department of Motor Vehicles, minutes of 4Cs meetings and articles of special interest to the hobbyist. The 4Cs maintains memberships in national organizations such as the Specialty Equipment Marketing Association (SEMA). These groups provide information on emissions, scrappage and environmental programs nationwide assisting the 4Cs to remain current. Our success depends on your membership and participation. Please contact us for a membership application or download one on this website (Membership page). We look forward to seeing you at our next meeting. We encourage all antique motor vehicles to maintain Early American or Classic Vehicle plates on their vehicles since it is the best way to ensure way the maximum $500 property tax assessment is applied to your vehicle. However, the statutes also allow the maximum $500 assessment to apply to certain antique vehicles without Early American or Classic Vehicle Plates. Most town property tax assessors will apply the $500 assessment to any motor vehicle 20 years or older. However, some town property tax assessors will try to distinguish an "antique rare or special interest motor vehicle" from a "modified antique motor vehicle" if the vehicle does not have Early American or Classic Vehicle plates. While Early American or Classic Vehicle plates are not required to qualify for the maximum $500 assessment, owners of vehicles without those plates may have to provide documentation to their town assessor that their vehicle qualifies for that assessment. If your motor vehicle is modified without Early American or Classic Vehicle Plates, your local tax assessor could determine that the maximum $500 assessment does not apply and assess the vehicle at what the assessor considers fair market value. The provision of a maximum $500 assessment for antique vehicles is appropriate. The vast majority of the automobile hobbyists in this state have other motor vehicles they use as primary transportation that are subject to the same property taxes as everyone else in the state. Because of this, the automobile hobbyists are already paying their fair share of property taxes on motor vehicles. Unlike many other hobbies, the automobile hobby requires us to register our collector motor vehicles, which puts them on a list, making them visible to the local property tax assessors in cities and towns. Hobbyists that collect artwork, furniture, stamps, coins, or rare books cannot be easily tracked down by these same local property tax assessors. Elimination of the $500 maximum assessment would unfairly put the automobile hobbyists in a situation where the tax burden associated with their hobby would be excessive, as compared to other hobbies. Furthermore, the automobile hobbyist provides benefits to the community that many other hobbies don’t provide. There are several car shows each weekend in the state throughout the late spring, summer, and early fall. These car shows typically benefit local charities and organizations. These shows result in significant revenues to these charities and organizations. These shows and cruise nights also result in increased spending at restaurants and local business throughout the state, indirectly helping increase state revenues. The use of their collector vehicles in local parades and other town functions throughout the state provide a positive benefit to the community thanks to the automotive hobbyist. Several businesses in the state rely on the revenue generated by the restoration of antique vehicles. Eliminating or raising this maximum assessed value would be adverse to those businesses. Currently, the property taxes on antique motor vehicles in Connecticut are in alignment with the surrounding states. Specifically, New York does not have an annual property tax (also known as an excise tax in surrounding states) on motor vehicles. Rhode Island has an annual excise tax on motor vehicles. Similar to Connecticut, Section 44-34-2 of the Rhode Island State Statutes identifies that any motor vehicle which is more than 25 years old shall be deemed to possess an average retail value of five hundred dollars ($500) as a basis value for the annual excise tax. Massachusetts has an annual excise tax on motor vehicles. The assessed value or excise tax basis value of a motor vehicle is based on a percentage of the manufacturer’s suggested retail price (MSRP). The assessed value or excise tax basis value of any motor vehicle 5 years old or older is 10% of the MSRP. The annual tax is 2.5% of this basis value. (Source: CT OLR Report 2013-R-0170 February 27, 2013). As an example, let us calculate the annual Massachusetts excise tax on a 1965 Mustang. A 1965 Mustang had a MSRP was $2427. For all vehicles 5 years old and older, the Massachusetts excise tax basis value is 10% of the MSRP. In Massachusetts the annual excise tax is 2.5% of the basis value with a $5 minimum value. For this 1965 Mustang, the annual excise tax in Massachusetts is $6.07. In Connecticut, with the maximum $500 assessment and a municipality with a mill rate of 30, the annual property tax on that same 1965 Mustang would be $15. REFRESHER ON THE $500 MAXIMUM PROPERTY TAX ASSESSMENT We encourage all antique motor vehicles to maintain Early American or Classic Vehicle plates on their vehicles since it is the best way to ensure way the maximum $500 property tax assessment is applied to your vehicle. However, the statutes also allow the maximum $500 assessment to apply to certain antique vehicles without Early American or Classic Vehicle Plates. Most town property tax assessors will apply the $500 assessment to any motor vehicle 20 years or older. However, some town property tax assessors will try to distinguish an "antique rare or special interest motor vehicle" from a "modified antique motor vehicle" if the vehicle does not have Early American or Classic Vehicle plates. While Early American or Classic Vehicle plates are notAs an example, let us calculate the annual Massachusetts excise tax on a 1965 Mustang. A 1965 Mustang had a MSRP was $2427. For all vehicles 5 years old and older, the Massachusetts excise tax basis value is 10% of the MSRP. In Massachusetts the annual excise tax is 2.5% of the basis value with a $5 minimum value. For this 1965 Mustang, the annual excise tax in Massachusetts is $6.07. In Connecticut, with the maximum $500 assessment and a municipality with a mill rate of 30, the annual property tax on that same 1965 Mustang would be $15.